These high-waisted pants are not only trendy but comfortable as well. 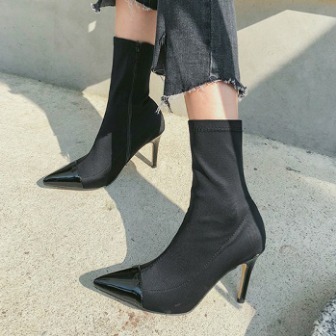 They have a straight silhouette, a buttoned strap at the waist, a side zipper closure, front creases for a longer silhouette, and a cropped style. Tuck your fitted knit tops in these pants and wear stiletto boots for a high-fashion appeal.